There’s always something challenging your supply chain? …something that makes you work harder and potentially effects the course of business, deliveries and your fleet. It’s time to work smarter and hire a reliable team, Thermo King Eastern Canada and the Sun. The latest innovation for transport temperature control trailers from Thermo King - Thermolite™ - in partnership the Sun, will trim time-consuming downtimes. Thermolite™ from Thermo King charges your batteries without running your engine or the cooling unit. Never discard a battery again! DRIVERS USE LESS FUEL. Forget idling the engines to charge the batteries, or running the cooling units too. Thermolite™ gets 100% of its power from the sun. THE SUN IS THE ENERGY SOURCE, so there’s less costly downtime for repairs and service calls on your engine. Let the Sun do the heavy lifting - er, charging - and get back on the road. It also means on-demand power is available too. YOUR MOTOR LASTS LONGER. Less wear and tear today means more miles for your engine, and we know that’s what you want. Themolilte™ maximizes the Sun’s energy with TOP and FRONT mount configurations available for both trailer and rail applications. The 30W and 40W models are designed for maximum charging capabilities to deliver smooth operations non-stop. More miles for less money. Thermolite™ will charge your batteries so you don’t have to. Now put that into a line graph for the next management meeting. Naturally, a better solution for your business. Thermo King has a more efficient and cost-effective solution for your transport temperature control trailers… Introducing Thermolite 30W solar panels – clean, reliable power and performance. Thermolite panels have been specifically developed to provide an alternative power source to refrigerated and dry fleets. They also offset sponging loads that drain battery life and create downtime. And, no matter what the weather condition, high efficiency solar cells use the latest technology to produce abundant power. ThermoLite 30W supports both Thermo King and competitor transport refrigerated unit batteries. Significantly increase energy efficiency, decrease downtime and save money! Discover the benefits Thermolite 30W solar panels can bring your business. Call 1-800-990-9662. Thermo King, a natural fit for your business. 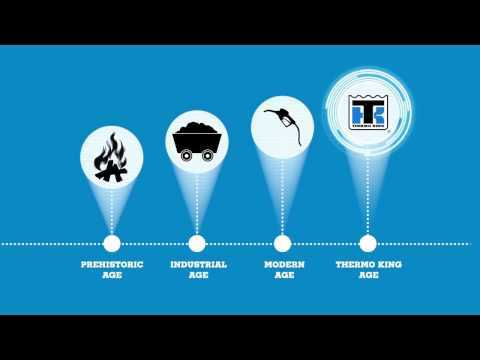 At Thermo King, our goal is to continue to bring you the most innovative solutions that are efficient and reliable, and of course help improve your bottom line. Introducing ThermoLite® 40W solar panels, an advanced and durable solar solution for your transport temperature control trailers. ThermoLite’s Charge Controller technology optimizes the charging from the solar array to the battery bank — extending battery life and increasing fuel savings over the life of the asset. It’s the most efficient way to keep your battery charged and prevent shutdowns. Naturally, you want the best for your business. 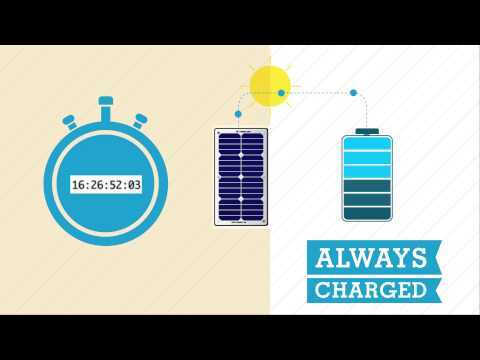 Contact Thermo King today and find out how our 40W solar panels can save you money. Call 1-800-990-9662. Our solar panels are naturally a good fit. Our technical team and specialists have worked hard to design a product that will live up to all your expectations, including your bottom line. Introducing ThermoLite® 110W-330W solar panels. ThermoLite solar panels are specifically created for your transport temperature-control trailers. Unlike the competition, they are rated for automotive environments - meaning strong glass construction, a charge controller designed specifically for automotive batteries, and mounting can be done directly to the unit, decreasing install time. It’s only natural that you want only the smartest solutions for your business. Enquire about our 110W solar panels today at 1-800-990-9662.